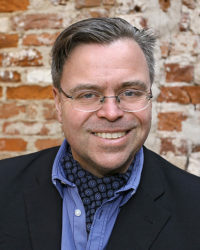 Dr. Andreas Önnerfors is an associate professor in the history of sciences and ideas at the University of Gothenburg, Sweden. His main research areas are the cultural history of eighteenth-century Europe with a focus on Swedish-German relations, press history, and organized sociability, in particular, secret societies and freemasonry. He also works on the rhetoric of German right-wing movements such as PEGIDA. Concerning research into conspiracy theories, Önnerfors has studied the historical origins of the modern conspiracy beliefs in eighteenth-century sources but also contemporary transformations of conspiracism, for instance in the counter-jihadist movement. He is the author of the forthcoming Freemasonry: A Very Short Introduction (Oxford University Press, 2017) and co-editor of Expressions of Radicalization: Global Politics, Processes and Practices (Palgrave, 2018).